“Whether in Paris, ew York, or Milan, these days the clothes shown during Fashion Week usually have one thing in common: the models on the catwalk are all quite naked. Low-backed gowns slide down to expose the derriere, tops real more than they cover, and dresses are often so short they could be mistaken for little tops. The most striking thing about these creations, however, is the reaction they provoke–no one today seems to be bothered. In this ‘generation of indifference’ one could almost wish oneself back to the middle of middle of the last century, when only an inch or so of missing fabric could set off a revolution. 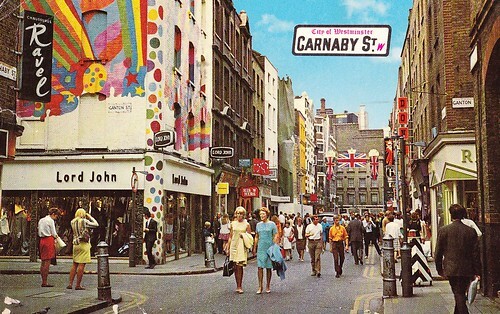 “It all began in 1955, when the art student Mary Quant, together with her later husband, the aristocrat Alexander Plunkett Greene, and their business partner, Archie McNair, opened the Bazaar fashion boutique on King’s Road in London’s Chelsea district. Quant, then twenty-one years old, the daughter of a teacher, had planned to sell ready-made clothing from wholesales, which she would alter to her own style. But when she found that everything she had bought in the morning and altered in the afternoon had completely sold out by evening, she began to produce her own clothing. “She transformed her small apartment into a studio (it was not until 1963 that she began to manufacture on a large scale), where her Siamese cat gnawed on the patterns produced of a paper made of fish derivatives. What survived became the foundation for global success: the skirts that each year grew increasingly shorter. “Quant created a ‘total look’ that emphasized the legs (preferably slim) rather than classic femine curves. “Her waistless, childlike, loose-fitting dresses and schoolgirl tunics were characterized by clean lines and high armholes. 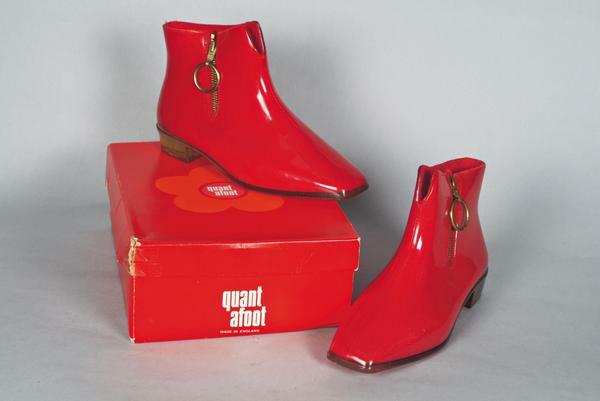 “The new dress lengths were worn with flat buckled shoes or boots–Quant considered high heels to be instruments of torture. “The revolutionary, abbreviated hemlines quickly became the symbol of the Swinging Sixties, of rebellion against the establishment (which dutifully reacted with a storm of indignation), and women’s liberation (which dutifully reacted with a storm of indignation), and women’s liberation. 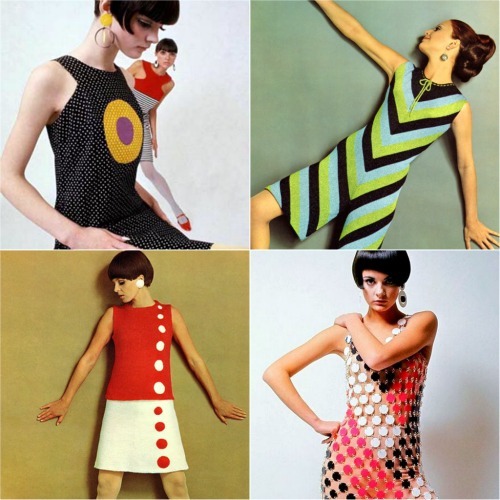 “Quant was celebrated (or demonized, according to one’s point of view), as the inventor of the miniskirt, although with Marc Boahan and Andre Courreges hems had also been rising in Paris. 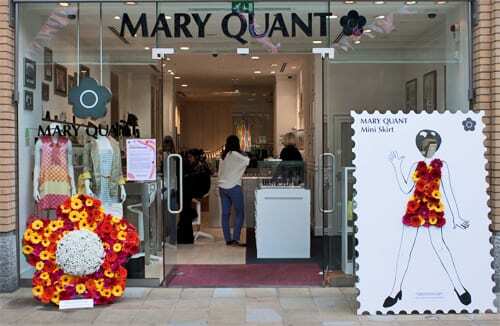 But Mary Quant had a few advantages over the French couturiers: she was young, innovative, and above all in the right place at the right time–London, the ‘coolest’ city in the world at the time, where the true originators of the miniskirt incidentally lived–the girls of the street. “He is the president and creative director of a fashion business that despite the economic crisis had sales of a 100 million dollars in 2008. 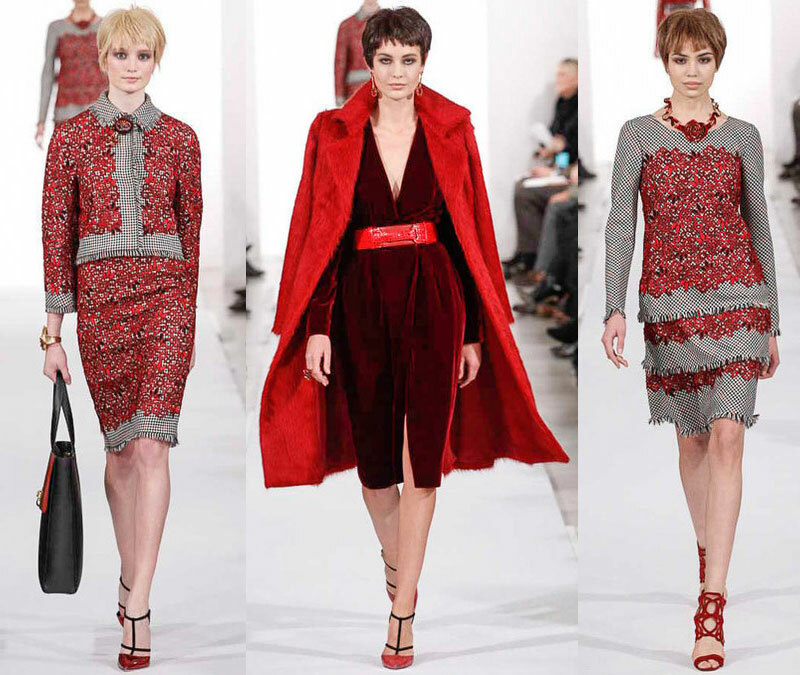 The story of Oscar de la Renta is one hundred percent American Dream. It is the story of a Latino boy who grew up with six sisters in the Dominican Republic, moved to Madrid at the age of eighteen to study painting, became an assistant of Balenciaga and ten years later plunged into the world of Paris haute couture at the side of Lanvin designer Antonio Castilo–and who, finally, founded his own label in New York at the age of thirty-three. “Today his company headquarters in Manhattan’s Garment District shares a building with two other American design sars, Ralph Lauren and Donna Karan. It was not only talent but also his business sense that could be seen early on. Oscar de la Renta left the fashion metropolis of Paris after only three years with the firm resolve to transplant his knowledge of haute couture to New York, the city of endess possibilities, in the form of a ready-to-wear line of his ow. He had understood that haute couture was the icing on the cake of fashion, but pret-a-porter is the cake itself. Diana Vreeland, then editor in chief of American Vogue, was able to convince him that he should spend a few more years training as designer of Elizabeth Arden’s custom-tailored line. In 1965 he at last founded his own fashion house. Five years later, one couldn’t have imagined the New York fashion scene without him. “His style is still reminiscent of the Paris school. Oscar de la Renta is known for precise, figure-flattering tailoring, and for extravagant details such as ruffles and applique. The two-time winner of the American Fashion Critics’ Award served as president of the Council of Fashion Designers of America from 1973 until 1976 and again from 1986 till 1988. He was honored with the CFDA’s Founders Award last year. “De la Renta” has been repeated so many times on the red carpet in response to the question “Who are you wearing?” that it’s conceivable to have thought that “the Oscars” was a refereance to the designer rather than the Academy Awards. At the Emmys in August, Zooey Deschanel and Allison Williams were among the stars who stunned in de la Renta. In May, Sarah Jessica Parker‘s black and white de la Renta confection, featuring the designer’s signature scrawled on the train in red, was the standout look at the Met Gala. De la Renta’s first marriage, to French Vogue editor-in-chief Françoise de Langlade, ended when she passed away in 1983. He is survived by his second wife, Annette Engelhard, and son Moises. He also had step-children from both of his marriages. “Lacking [start-up] funds, he designed his first collection in simple linen, raffia, cotton, and woven straw. And he remained faithful to his principle of working only with and never against the material. The result was his trademark: unpretentious elegance, perfectly executed. 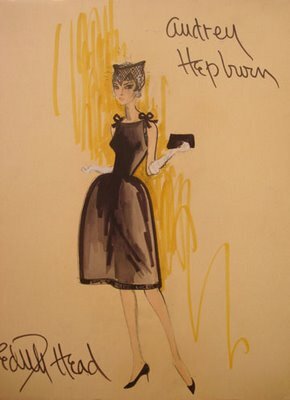 “Givenchy was respected from the outset for his skill, but worldwide fame foundhim with Audrey Hepburn, whom he met in 1953 on th eset of the film Sabrina. and Grace Kelly, it was the fine-boned Hepburn who became his muse. The fashions of handsome, aristocratic Hubert de Givenchy combined the traditions of haute couture creative, luxurious and perfectionist with a modern entrepreneurial sensibility. In a career spanning forty years he created the most glamorous of evening dresses, developed the influential ‘sack’ dress, pioneered the princess silhouette and fielded debonair daytime suits that have never gone out of fashion. He famously defined the sartorial image of Audrey Hepburn both on-screen and off creating the Sabrina neckline and the little black dress for Breakfast at Tiffany’s. A history of chic caught by leading photographers and illustrators, Vogue on Givenchy reveals what the magazine called his ‘stardust touch’. Dior released his ‘New Look’ in 1947. 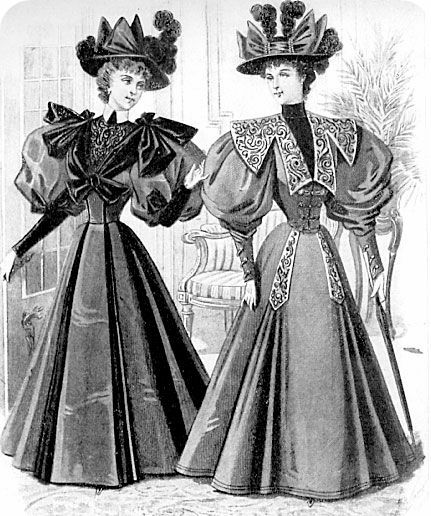 These dresses featured a typical hourglass silhouette and often used metres of luxurious, elegant fabric. “Dior, however, appeared unimpressed: ‘Europe has had enough of falling bombs, now it wants to set off fireworks.’ His aim was to ‘make elegant women more beautiful and beautiful women more elegant.’ Seeing himself as a fighter against mediocrity and the loss of high principles,’ Dior thought little of austere pragmatism. It was his simple duty ‘not to give way, to set an example, to be creative in spite of everything.’ Success proved him right. As early as 1947, Dior had more than a thousand dressmakers working for him, and in 1949 his label accounted for 75 percent of French fashion exports, which represented no less than 5 percent of all French exports. He created twenty-two collections in ten hyears and changed the sihousette of his clothes each season. 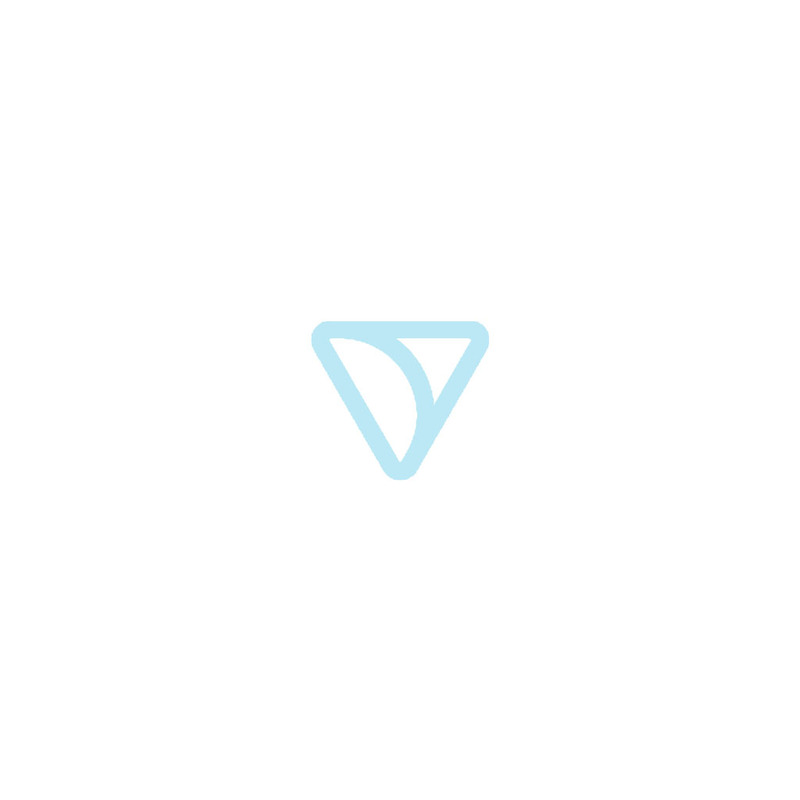 (the New Look was followed in quick succession by the Tulip ad Lily of the Valley lines, and the A-, H-, and Y-line. Christian Dior’s “Bar” suit is the iconic New Look ensemble, featuring as it does the sloped shoulders, articulated bust, nipped waist, and padded hips. This silhouette required myriad underpinnings, which in the case of Dior’s designs were built in rather than purchased separately. A repudiation of the styles of the 1920s and ’30s, it was also clearly indebted to the styles and body-shapers of the late nineteenth century. Although it would seem that the heavily structured silhouette of the 1950s would allow for some relaxation of the management of the body underneath, fashion magazines dictated strict diet and control. In 1949, Vogue introduced “Diet X,” a 750-calorie-a-day regime to be followed for ten days, and published several versions of it in the 1950s. A 1953 editorial in Harper’s Bazaar noted that people who failed to maintain a good figure “don’t have a good enough opinion of themselves to want to look their best.” This emphasis on internal control may be the reason that the nineteenth-century carapace of undergarments was not revived along with its silhouette. The waist cinchers that were introduced as an underpinning in the 1950s were barely four inches wide. The Merry Widow corset of the 1950s simply did not impose the force of its nineteenth-century ancestor. Much of the sportswear of the 1950s followed Dior’s line without the benefit of any understructure other than brassieres and elastic girdles. In 1947, Christian Dior presented a collection of wasp-waisted and hip-padded designs. The American press immediately dubbed it the “New Look.” The “Bar” suit was considered the most iconic model in the collection, manifesting all the attributes of Dior’s dramatic atavism. Although Dior created many notched collars, he was a fervent advocate of shawl collars and curved necklines. Arguably, the shawl collar plays effectively with the curvaceous forms Dior articulated at the shoulders and hips. The full pleated calf-length skirt, of black wool, is a replica of the original skirt of the suit. Marc Bohan ordered it made up in the Dior workroom to complete the suit for The Costume Institute Collections. Vogue (September 15, 1948) noted the extraordinary neckline of this dress, specifying the “plunging neckline with side-slanted fold.” The asymmetrical gathering of fabric swoops around the neck in the same manner as the 1948 skirts but closes low in the front, exposing an expanse of shoulder. Dior consistently favored scarflike effects to frame a bare shoulder line. Here, he did not have to place linen or other materials in the décolletage; he simply used the natural bunching of silk to serve as an adjustable “modesty” for the deep neckline. For the theater, Dior took the opportunity to create a woman’s alternative to a man’s smoking jacket. Instead of satin lapels, he utilized a black satin ribbon. Dior’s treatment is the most discreet possible, as were his earlier transformations of gray flannel suits to womenswear. This dress was originally worn with a long satin coat of seven-eighths length. “Chérie” exemplifies the “New Look” in all its salient elements: sloped shoulder, raised bustline, narrowed waist, and a monumental volume of skirt falling away from a padded hipline to below the calf. The New Look arrived uncompromised and complete, not as a tentative suggestion or stage in evolution. Here, the skirt is made of the full width of the fabric, selvage to selvage, disposed horizontally. Consequently, at the waist the necessary folding-under of the pleated fullness creates a compressed, thirteen-and-a-half-yard seam allowance, the substantial bulk of which pads the hips. This virtuoso achievement in dressmaking was reached by the compression of vast volume into an adjoining sculptural reduction. 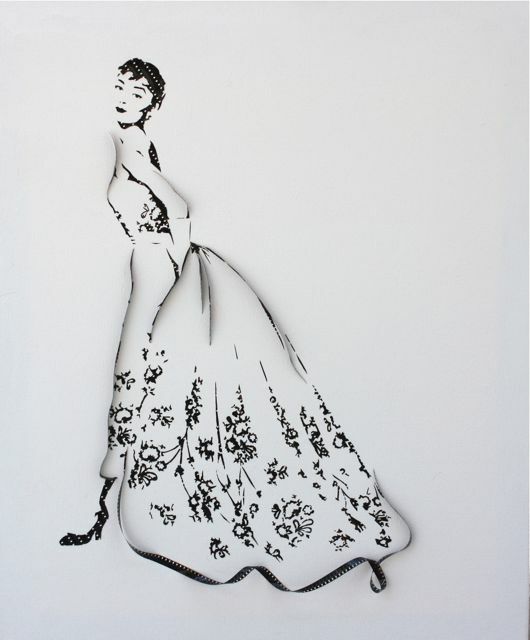 Dior prided himself on the handwork in his creations. With this ensemble, Dior posed a layered repudiation of his own New Look silhouette. The coat, of an exaggerated blockiness, was to be worn over a tubular dress that ignored the waist and barely acknowledged the bust and hipline. A decade after his innovation, Dior was resolutely denouncing the elements that for so long had constituted his work. For his spring 1953 collection, Dior’s interest in gardening was reflected in the color and fabric choices and in the names of both the collection itself (“Tulip”) and of individual designs. The refreshing, innocence that had been creeping into the collection in 1952 was fully cultivated in 1953. Severe in many ways in his earlier collections, Dior now opened up in a painterly way with dresses and coats with jeune fille innocence. For Dior, it was essential to be able to subtly form fabric to the fullness that he favored in skirts, peplums, bustles, and in some cases even at the shoulder. Details such as the addition of the capelet, a bodice understructure of boned mesh corset with peplum, and buttons with bound buttonhole closures add the charm of historicism to this cocktail dress. Though known for his ultra-feminine silhouettes, Dior adapted many aspects of menswear for his designs. He appropriated gray-flannel tailoring, houndstooth, white cotton piqué, and other elements of menswear. One of Dior’s great achievements was to create from the vocabulary of men’s tuxedos. Here, a black wool column is accented with black silk faille that would be in a man’s tuxedo lapel and cummerbund. Visible in the asymmetrical wrapping of the pattern pieces is his interest in the drape of fabric. A model primarily remembered for having been in the wedding trousseau of Olivia de Havilland, this gray wool suit is the transfiguration of the man’s suit as an expression of the feminine. More importantly, this suit, long anticipated by Dior’s interest in tailoring and in menswear fabrics, is poised on the edge of his move away from the New Look’s historicism toward a simpler, increasingly reductive, architectonic geometry. The essential A-line of the 1960s began here. treatments add tension and even a feeling of incredulity to his designs. This piece is unarguably the 1950s moderne of the cocktail hour. With a strapless neckline, a rather ostentatious constructive line, and a colorful surface print, the dress would have been rejected for the early evening prior to the 1950s, as its various components belonged (respectively) to late evening or daytime dressing. By mid-century, Parisian couturiers were going to great lengths to enforce an exaggerated formality in order to differentiate themselves from American designers. In his romantic “Aimant” collection, Dior offered the emphatic reiteration of his commitment to the eighteenth century made modern. Here referring to the ubiquitous fans women used to “communicate” at court, Dior raised the waist but delighted in the fullness of the skirt and pronounced form of the bust. The fan’s role is one to which Dior would have been very sensitive. The aegis and instrument of powerful and coquettish women, it both conceals and discloses. It was, of course, the rigidity of inner structure emanating from the corset that permitted Dior the license of the strapless gown, just as the décolletage of the eighteenth century was made possible by the shaping of the waist below and the platform of bust support. Dior’s comparison of the cocktail-clad hostess and the eighteenth-century woman denotes the relevance of clothing and decoration to the social function of women during these eras. While clearly ornamented differently, these personalities depended on a superficial facade through which to communicate their respective social roles. By 1949, Christian Dior’s instinct for calibrated innovations of the body’s “line” had established him as fashion’s preeminent arbiter. That year, dresses called “Venus” and “Junon,” or Hera to the Greeks, were among the most coveted of his designs. Dior’s Venus was realized in the delicate eighteenth-century gray that was his signature, frosted with iridescent beading and embroidery. But his Junon is more vividly conceived. 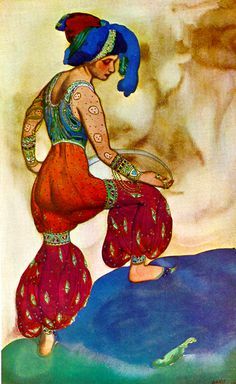 The magnificent skirt of ombréed petals, like abstractions of peacock feathers without their “eyes,” obliquely references the bird associated with the Queen of the Olympians. Emanuel Ungaro’s classical gown (1993.345.15a-c), like the magnificent peplos and capacious himation befitting the noblest Olympian goddess, is discrete in its coverage. Current notions of classical dress are surprising in the breadth of their parameters. They are based in part on the original variations and manipulations of the antique models, the attributes accrued to it over time by artistic convention, and the twentieth-century adaptation of ancient methods to modern forms. That the dress of people two-and-a-half millennia in the past can imbue a design of today with the aura of myth and timeless beauty suggests that the classical mode, like Penelope’s weaving, is continuous and without end. Harper’s Bazaar (September 1952) described “La Cigale” as built in “gray moiré, so heavy it looks like a pliant metal,” while Vogue (September 1, 1952) called it “a masterpiece of construction and execution.” In 1952, what has been called the Dior slouch was placed inside a severe International Style edifice. 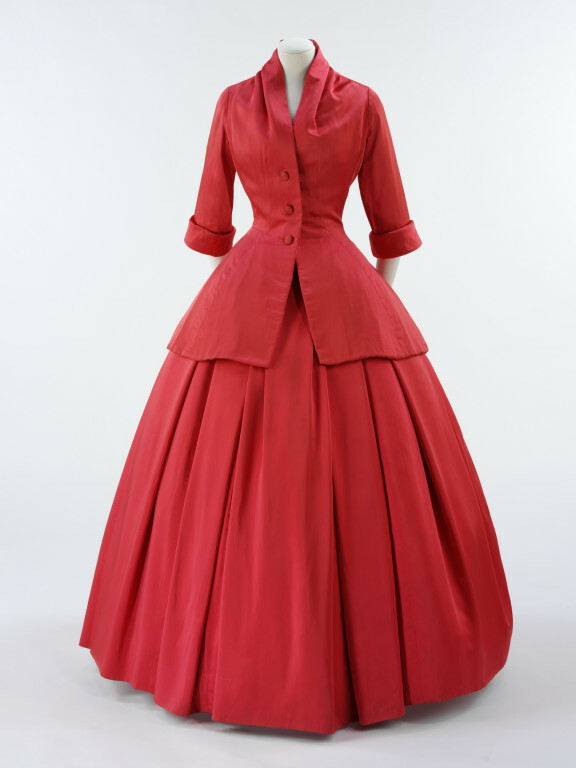 The devices customarily used to soften surface and silhouette in Dior are eschewed, and the dress becomes the housing of the fashionable posture now required by its apparent weight: the skirt is cantilevered at the hipbone—hip forward, stomach in, shoulders down, and the back long and rounded. Dior employed shaped pattern pieces to mold the bodice to the body and likewise to allow for the dilation at the hips. American periodicals continued to promote Parisian couture lines after World War II, but they also included American design images and the ready-to-wear lines of Paris in order to make their publications relevant to a wide economic range of American women. 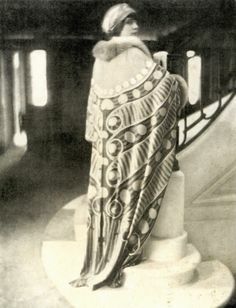 “La Cigale” has the underpinnings of couture, but with its standard moiré, long, fitted sleeve, and smooth bodice and skirt cut, a facade of this cocktail piece could easily be adapted for the department store. American designers like Anne Fogarty and Ceil Chapman emulated the “New Look” line for cocktail wear, but used less luxurious fabrics and trims. 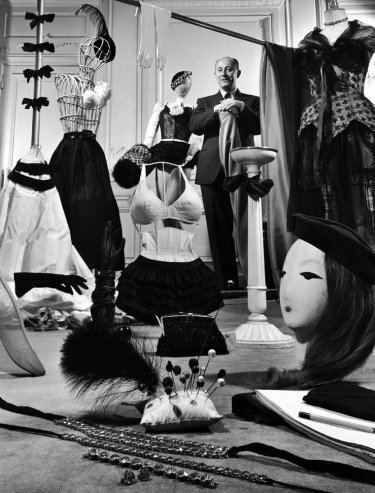 Dior, along with French contemporary Jacques Fath and milliners Lilly Daché and John Fredericks, quickly saw the advantages of promoting cocktail clothing in the American ready-to-wear market, designing specifically for their more inexpensive lines: Dior New York, Jacques Fath for Joseph Halpert, Dachettes, and John Fredericks Charmers. 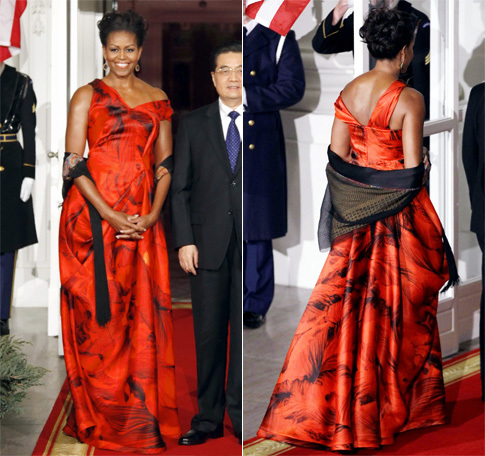 Conceived as a sarong, this is a more formal version of a dress style that had been offered in earlier collections. The fabric is wrapped from a back seam with an asymmetrical hem. 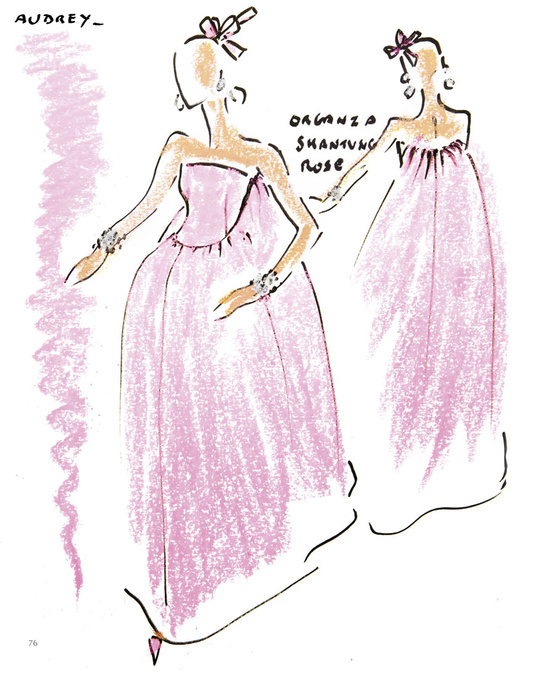 Dior resolved the asymmetry of the hem but, in doing so, lost the width of fabric required to continue the side drape. As a result, an extra is gathered into the side seam to form a free-flowing train. The appearance is of continuous fabric but, in fact, Dior had to concoct the process. Gift of Mrs. Byron C. Foy, 1953 (C.I.53.40.21a–c). With his “New Look” collection of 1947, Christian Dior brought romanticism back to the catwalk. His cinched waists and full, mid-calf-length frocks enforced a demure feminine aesthetic. The cocktail hour began to represent universal social identities for women: the matron, the wife, and the hostess. 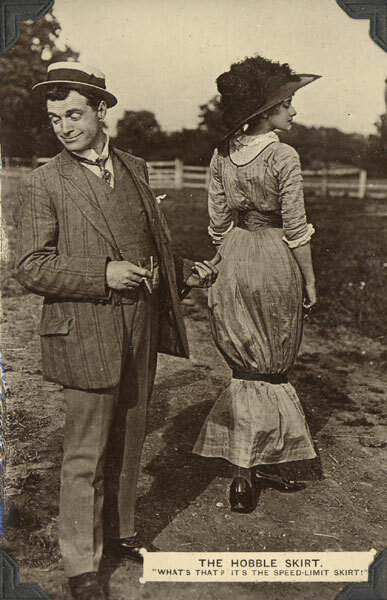 Cocktail parties rose to the height of sociability, and cocktail clothing was defined by strict rules of etiquette. While invitees were required to wear gloves, the hostess was forbidden the accessory. Guests were obligated to travel to an engagement in a cocktail hat (which had retained the veil made popular in the 1940s), but they were never to wear their hats indoors. “Pisanelle,” dating just a few seasons after Dior’s famed “New Look” and his iconic hourglass “Bar” suit, represents the drama imbued in his controversial silhouette. Dior aptly admired Italian Renaissance artist Antonio Pisanello (ca. 1395–ca. 1455) for his refined attention to detail and his fascination with clothing materials; the painter often represented complicated fabrics and clothing treatments in his frescoes and in obsessive details in his drawings. In this ensemble, the skirt plays on mat and shiny surfaces to create a sense of the waist-sash as trompe-l’oeil bow and the gores of the skirt as streamers. The silk velvets and satins in this piece, though not atypical for cocktail attire, were often reserved for an evening wear cut before the 1950s; due to the prominence of the cocktail hour in material culture reference, the term “cocktail dress” was applied on the basis of its accessory items and was no longer dependent on the garment’s construction. Exemplifying Dior’s faultless minimalism of 1955, this simple black column, contrasting matte velvet against satin, anticipates a form of evening dress that has continued to the present. The stability of the off-the-shoulder neckline is accomplished by the hand shaping of the fabric rather than by any rigid understructure. Christian Dior’s reputation as one of the most important couturiers of the twentieth century was launched in 1947 with his very first collection, in which he introduced the “New Look.” Featuring rounded shoulders, a cinched waist, and very full skirt, the New Look celebrated ultra-femininity and opulence in women’s fashion. After years of military and civilian uniforms, sartorial restrictions and shortages, Dior offered not merely a new look but a new outlook. Born and raised in Normandy, France, Dior moved with his parents to Paris when he was ten. After studying political science, he served in the military. His design career did not begin until 1935, when he returned to Paris and began selling sketches. The designer Robert Piguet hired him in 1938. During World War II, Dior served in the south of France, then returned again to Paris in 1941 and worked for Lucien Lelong at a much larger design house. In 1946, backed by textile manufacturer Marcel Boussac, he opened his own house. After years of military and civilian uniforms, sartorial restrictions and shortages, Dior offered not merely a new look but a new outlook. Dior helped to restore a beleaguered postwar Paris as the capital of fashion. Each of his collections throughout this period had a theme. Spring 1947 was “Carolle” or “figure 8,” a name that suggested the silhouette of the new look with its prominent shoulders, accentuated hips, and small waist. The spring 1953 collection, dubbed “Tulip,” featured an abundance of floaty, flowery prints. 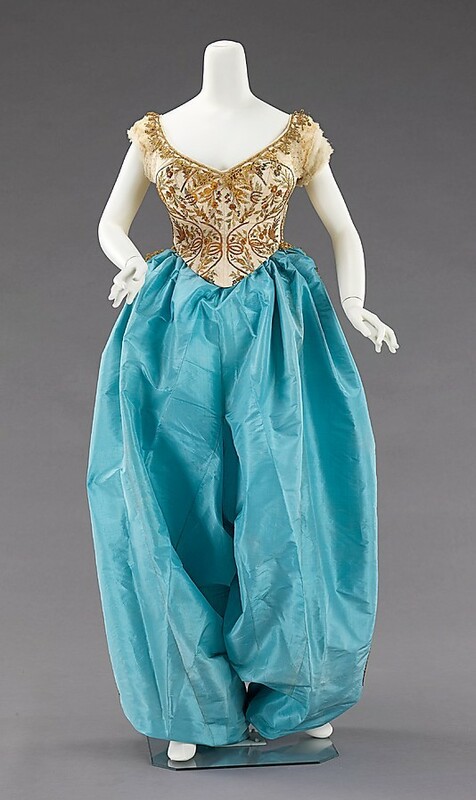 Spring 1955’s “A-line,” with its undefined waist and smooth silhouette that widened over the hips and legs, resembled a capital “A.” Some of Dior’s designs simulated Second Empire and other historical styles, but he was also creating menswear, trompe-l’oeil detailing, and soft-to-hard juxtapositions, making them part of the modern wardrobe. By his final collections, Dior, feeling the need for a more limber silhouette and lifestyle, was designing chemises, narrow tunics, and sari-like wraps. Together with his partner Jacques Rouet, Dior pioneered license agreements in the fashion business. By 1948, he had arranged lucrative licensing deals for fur, stockings, and perfumes, which not only generated revenue but also made him a household name. 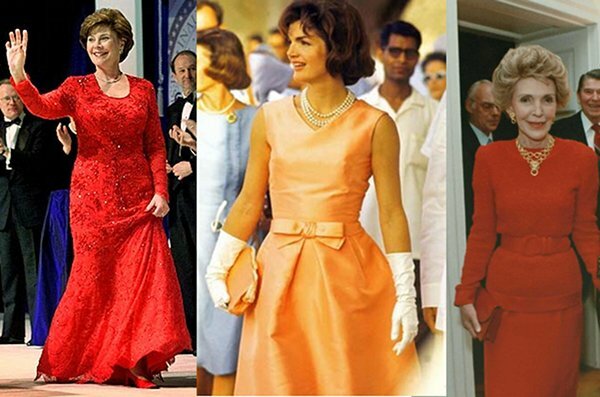 While the House of Dior is still a thriving business today, Dior’s untimely death in 1957 left the fashion world without a great dictator of style. Christian Dior designed under his own name for only a decade, but his influence will be felt for many years to come. “Poiret’s most daring designs included pants for women, which till then were only considered acceptable, if at all, for bicycling. His culotte skirts and harem pantaloons led to riots in the streets, sometimes even resulting in the arrest of their wearers.” 50 Fashion Designers You Should Know, p. 17. “Above all, Poiret’s designs were inspired by art and culture. When he presented his harem fashions, the stories of Scheherezade had just been translated into French. The Ballets Russes, visiting Paris in 1909, prompted is turbans, coats with kimono sleeves, richly decorated tunics, and flat slippers.” 50 Fashion Designers You Should Know, p. 17. 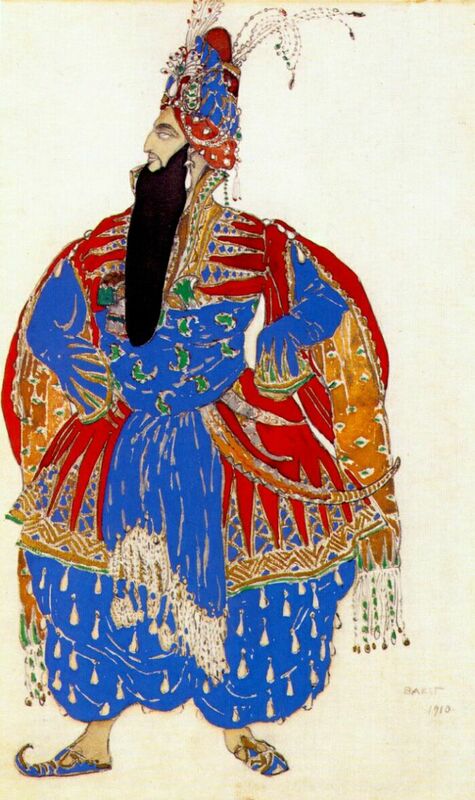 Leon Basket was the costume designer for the 1909 Scheherezade. The flavor of Basket’s costumes can be seen in Poiret’s work. There is no doubt that Poiret’s influence is evident in the costumes of the 21st Century Downton Abbey. 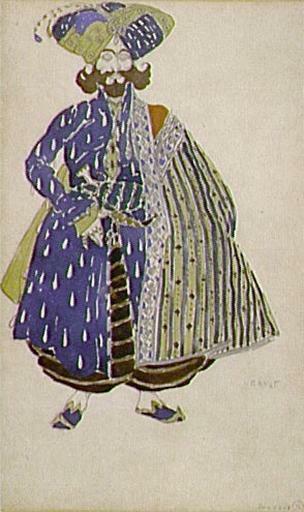 Paul Poiret’s influence resurface long before then, however. By the time that Vreeland became Editor of Vogue, the jet plane had made international travel more reasonable, and America’s fashion taste expanded globally. 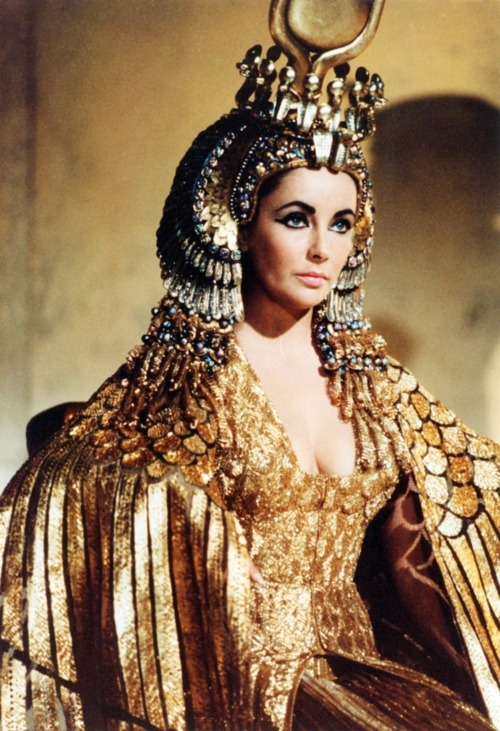 In 1963, Elizabeth Taylor starred in Cleopatra. In 1965, Sophia Loren starred in Lady L, which recounts the exotic adventures of the lady’s life. In the above photograph, Loren is wearing a Turkish costume. In July 1965, Loren was featured on the cover of Vogue. 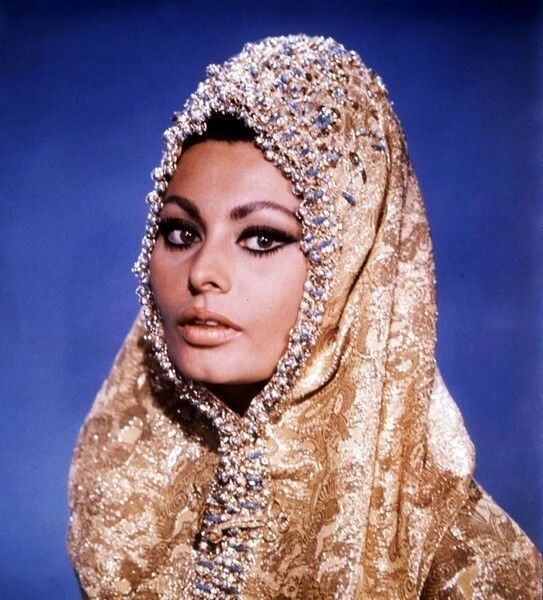 In 1966, Sophia Loren starred in the Middle Eastern Arabesque. There was widespread interest in Orientalism, travel, and the exotic; and Diana Vreeland wholeheartedly embraced those concepts. In search of inspiration, Vreeland traveled extensively. Once more, Scheherezde became fashion inspiration Photographs for the 1965 Scheherezade issue were shot in India. Vogue has continued featuring exotic places and fashion looks. “Every age has its own prophet–someone who knows the secret longings of his or her contemporaries and is capable of converting them into public demand. Paul Poiret, the Parisian fashion designer, was just such a visionary. His modern, corset-free so;jpiettes brple wotj everutjomg cpmsodered tp be fasjopmab;e befpre 1905. The Frenchman is still considered today one of the most innovative designers in the history of haute couture. Almost as legendary is his financial extravagance. He died in 1944 in abject poverty, a genius forgotten by the world. 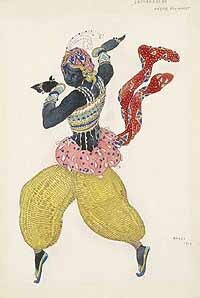 “As a teenager, Poiret, the son of a cloth merchant, was already selling fashion drawings and small designs to Paris fashion studios. After training with the couturiers Jacques Doucet and Charles Frederick Worth he finally went into business with his own salon in 19o3. His muse was his young wife, Denise Boulet. Slim, emancipated, and independent, she was the perfect advertisement for Poiret’s vision. At a time when the female body was still divided into protruding bosom and buttocks, Bolet’s athletic figure served as a basis for Poiret’s loosely hanging garments, draped directly on ht e body (he couldn’t sew), and for whose fit neither hoop skirt nor corset was required. “Poiret’s most daring designs included pants for women, which till then were only considered acceptable, if at all, for bicycling. His culotte skirts and harem pantaloons led to riots in the streets, sometimes even resulting in the arrest of their wearers. “In 1911, the desiger took a step backward, at least from the point of view of emancipation. With the design of the hobble skirt, he, having freed the female bosom, shackled the legs and thus the freedom of the wearer. “Additional creations were ‘lampshade’ tunics, T-shirt dresses, and the robe culotte, a kind of jumpsuit. “Above all, Poiret’s designs were inspired by art and culture. 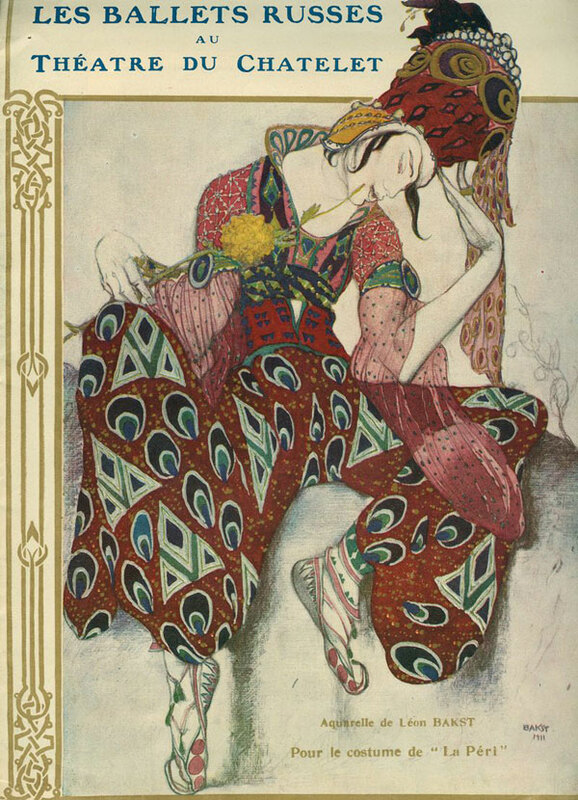 When he presented his harem fashions, the stories of Scheherezade had just been translated into French. The Ballets Russes, visiting Paris in 1909, prompted is turbans, coats with kimono sleeves, richly decorated tunics, and flat slippers. 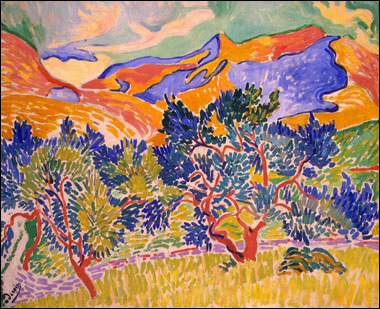 “His expressive color schemes seem to have been borrowed directly from the group of controversial artists known as the Fauves (the wild beasts). His models, mostly produced with the use of extravagantly gorgeous fabrics, are marked by an exciing contrast between impressive modernity and stunning theatricality. “Like no designer before him, Poiret had an infallible instinct for marketing. He traveled to Russia and the U.S. to present his creations in person (and pick up ideas for new designs). He complemented his fashions with perfume, makeup, nail polish, and interiors. “Poiret introduced the decorated window display and gave fashion photography, then still in its infancy, an artistic direction. His legendary Oriental banquets (at on of which half-naked, dusky waiters served 900 liters of champagne to 300 guests) are considered among the first modern PR stunts. “Poiret’s style, derived form Art Deco, was considered groundbreaking until the end of World War I. After that, the eccentric designer increasingly began to lose his prosperous clientele to other ambitious designers, above all Jean Patou and Coco Chanel. In 1925, with one last grand appearance, he sealed his own demise. Deep in debt, he rented three luxurious ships to present his collection at the Paris Arts Decoratifs show. Despite the expense, his competitors could not be fought off. In 1926 he left the fashion house he had founded, and in 1929, his wife and muse finally left im. Fifteen years later Poiret died a clochard, a homelss vagrant, int the occupied Paris of World War II.